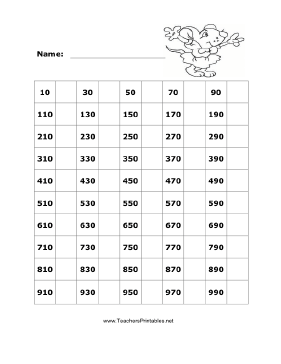 The squares on the grid in this free, printable math chart are filled with numbers. The numbers go up by 10s from 10 to 1000, but every other square is missing. It is a great worksheet for children to fill in when they're learning about counting and addition.